Incumbent Gretchen O'Fallon, retired school administrator Bonnie Strobbe, and former board member Lowell Haagenson were elected to four-year terms on the Paynesville Area School Board last week. O'Fallon, who has served on the board since 1996, was the top vote-getter with 482 votes, as 562 district residents went to the polls on Tuesday, Nov. 4. Strobbe, who retired in June after a 28-year career as a teacher, coach, and administrator, was the second-leading vote-getter with 458 votes. Haagenson finished third to earn the third spot up for election this fall. With 220 votes, he finished ahead of a write-in campaign for Paul Bugbee, who received 196 votes, and challenger Paul Thielen, who got 126 votes. 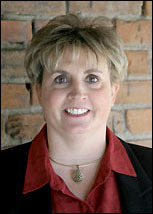 O'Fallon, who was appointed to the board in 1996 and was elected to a four-year term in 1999, has served as the clerk for the past two years. She said she was complimented by the number of people who voted for her and hopes that she can continue to make good decisions on the board and continue to have public support. She thinks public education and kids are so important that she would want to be involved in the schools anyway, but she said she was glad to be able to serve another term on the school board. Strobbe and Haagenson will replace current board members Maurice Dosdall and Pat Flanders, neither of whom refiled for another term this year, starting in January. Flanders has served on the board since 1989, and Dosdall was first elected in 1987, though he was off the board for one year. Winning seats on the Paynesville School Board are: at left, Bonnie Strobbe; top right, Gretchen O'Fallon; and bottom right, Lowell Haagenson. With two new members and a new chair, replacing current chair Flanders, the school board will be different come January, Haagenson, O'Fallon, and Strobbe agreed. Haagenson and Strobbe should have shorter learning curves than most new school board members, though, due to their experience. 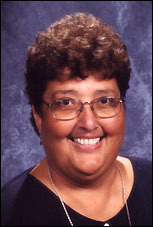 Strobbe taught, coached, and worked as a school administrator for 28 years, retiring as the principal at Mississippi Heights Middle School in Sauk Rapids in June 2003. She has worked directly with a school board as a school administrator but now will find herself on the other side of the table. "I hope I can be some help in solving all the issues facing public education, especially in Paynesville," said Strobbe, who has owned lake property on Koronis since 1986 and lived in Paynesville full time since 1994. "I'm delighted I have the opportunity to help." With her background, she said she is familiar with some of the problems facing school districts these days - stagnant funding, declining enrollment, increasing competitiveness, etc. - but added that while she likes finding solutions she does not have any to give the school board. 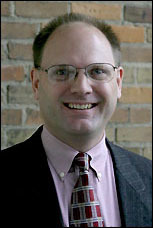 Haagenson previously served on the school board from 1995 to 1999. He was pleased with the election results and happy to be back on the school board. "I think it's going to be a great opportunity to serve again," he said. "I've missed it, so I'm happy to be able to do it again." With the loss of experience on the school board, it's important that the new candidates have familiarity with the board workings as the district faces huge issues like restructuring and switching to a new superintendent, said Haagenson. Voter turnout for the election was 562, much less than for the last school board election in November 2001, but that election featured nine candidates for four spots and also was held in conjuntion with a levy referendum for the school district. The election turnout was the largest for a board-election only since May 1989, when 839 voters chose three board members from a slate of five candidates, electing Dosdall and Flanders. In fact, the largest turnouts for school board elections since 1980 have all occurred in years with contested races. In May 1981, 11 candidates vied for two spots, attracting 862 voters; in May 1982, seven candidates filed for three spots, getting 995 voters to the polls; in May 1986, five candidates for two spots drew 573 voters; in May 1987, four for two drew 651; and in May 1988, seven candidates for three spots attracted 1,319 voters.